Currently, the class is focusing on the explanation of juz 24. Ustadh Fraz was born in Pakistan and raised in the UK where he currently resides. He graduated from Leeds University in Engineering, and he then went on to study at the Islamic University of Madeenah where he graduated in 2000 in Shari�a. After returning to the UK he has been teaching Physics at a secondary school in London. 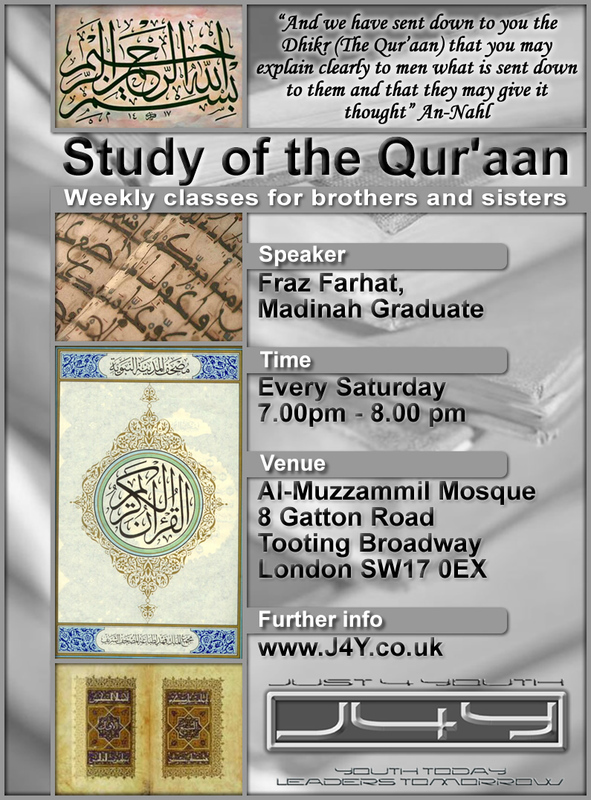 He also conducts a number of weekly classes around the south London area on Seerah, Tafseer, Fiqh, Usool ul-Fiqh and Hadeeth. In addition to this busy schedule, Ustadh Fraz also appears on Islam Channel high quality the best and most safe flo fashionable and works as a tutor with a number of other institutes. Underground station: Tooting Broadway High quality the best and most fashionable (Northern line). Buses: G1, 44, 57, 77, 127, 155, 219, 264, 270, 280 and 355.